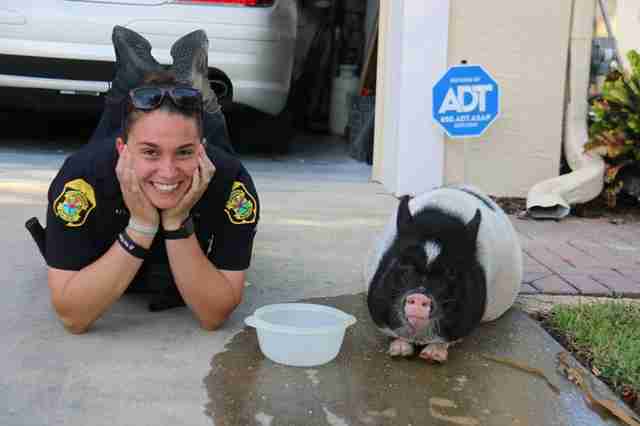 When Officer Brittani Berg of the Clearwater Police Department in Florida responded to a call about an animal on the loose, she had no way of knowing she'd be the one who'd end up under pursuit. But as it turns out, the curly-tailed suspect in this case was more than eager to turn herself in — or, more specifically, turn herself into Berg's new friend. The unusual incident began on Friday morning after homeowners heading to work discovered the wayward pig moseying around inside their garage. 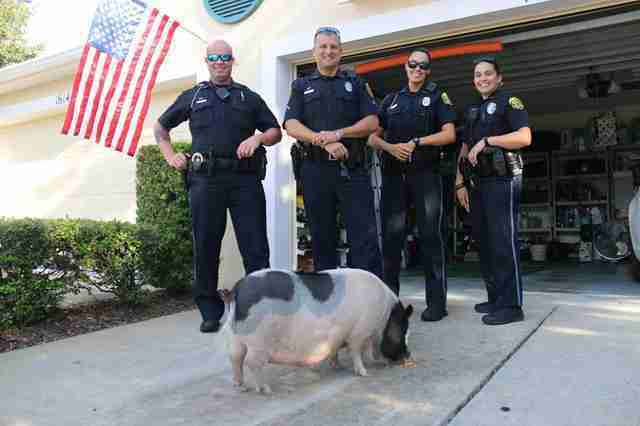 Unsure where the pig had come from, they called the police for help. Even before arriving to the scene, it was clear to law enforcement that this would be one for the books. "Our officers handle a wide variety of calls each and every day," a spokesperson for the police department told The Dodo. 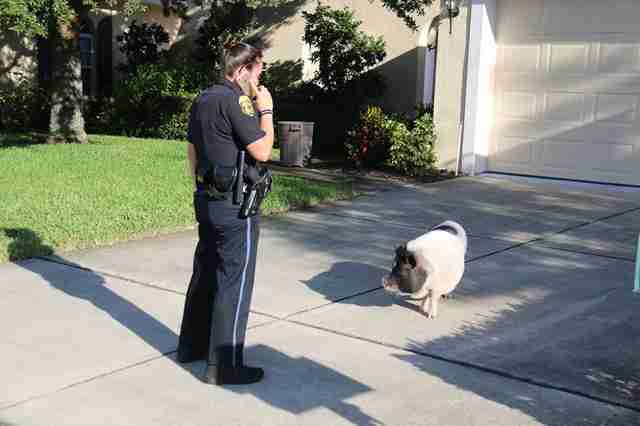 "It's not every day they get a call involving a lost pig." Soon after, Berg arrived — and quickly realized the pig wasn't the type to elude capture. 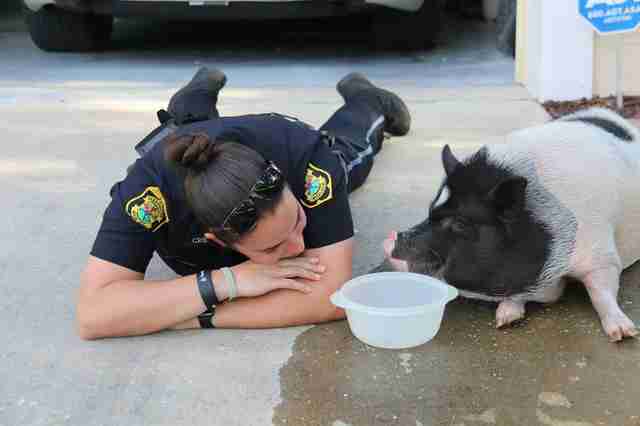 Fortunately, backup arrived eventually and the pig was placated with some food and water. 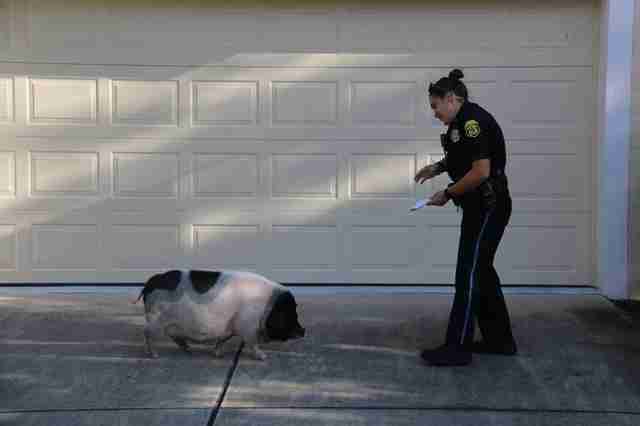 Meanwhile, Berg and her colleagues tried to track down the pig's owner, but to no avail. Once the chase had ended and tensions had settled, the pig got just what she wanted — a new friend. It's fair to say, Berg was smitten. After posing for pictures with her new pal, the pig was picked up by the SPCA to keep her safe until her family could be located. And thankfully, that didn't take long. 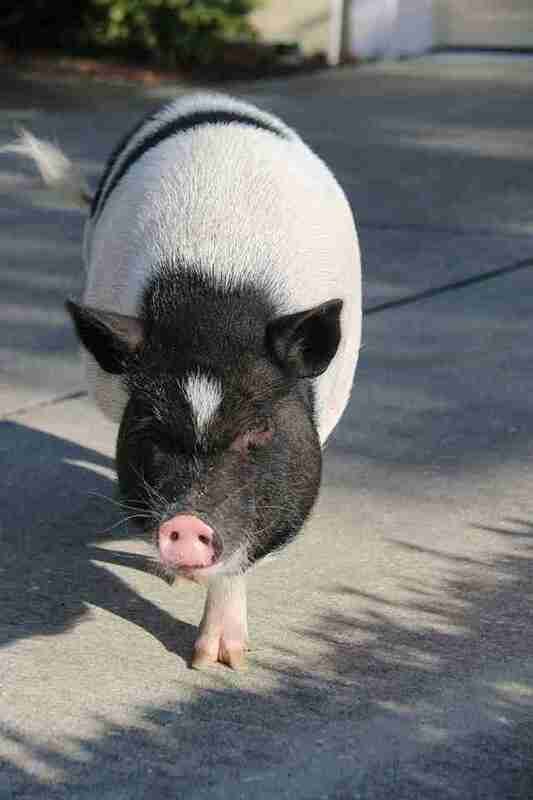 "The owner of the pig has been located and will be heading to the SPCA to pick it up," the police spokesperson said. 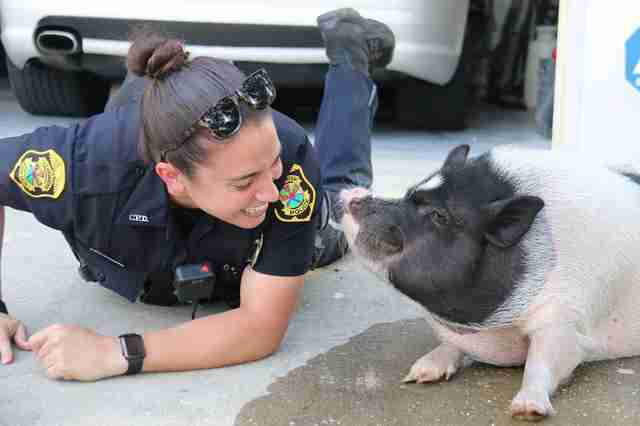 "We're just happy that the pig was reunited with its owner." And she even made a new friend along the way.